long, long ago in the city of Shushan. Morah Katie: Tell me, if I was traveling back to ancient Shushan, who should I visit? Olivia: Esther because she is nice. Maya: Rabbi Mordechai too because he is nice also. Lochlan: You don't want to probably go see Haman. 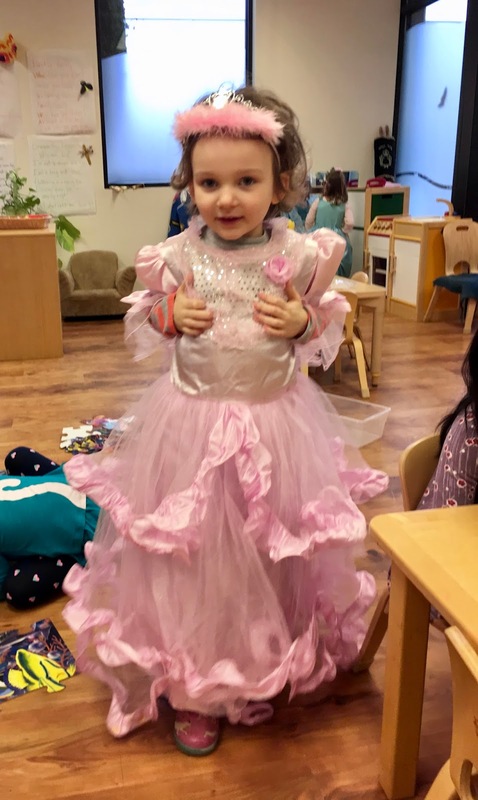 Morah Katie: Yes to Queen Esther and Rabbi Morderchai. Olivia: Not to Haman because he likes to get rid of people, he is just a mean guy. But Queen Esther she saves people. Morah Katie: Ok, so don't visit Haman. Lakshmi: I think the Rabbi is someone to visit. Oh and I think the Queen. Olivia: You may want to visit the king. Morah Katie: I heard he was pretty silly. Olivia: Well he does listen to Queen Esther and he does get rid of Haman instead. Miles: I think the Rabbi is a good idea. We transformed our classroom into Rabbi Mordechai's home and the palace. The children spent the majority of their free play time in the Rabbi's home. 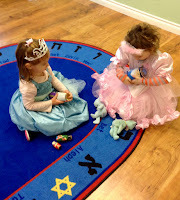 We used the different Purim characters to help us relate to how OUR own words and actions were affecting our friends. 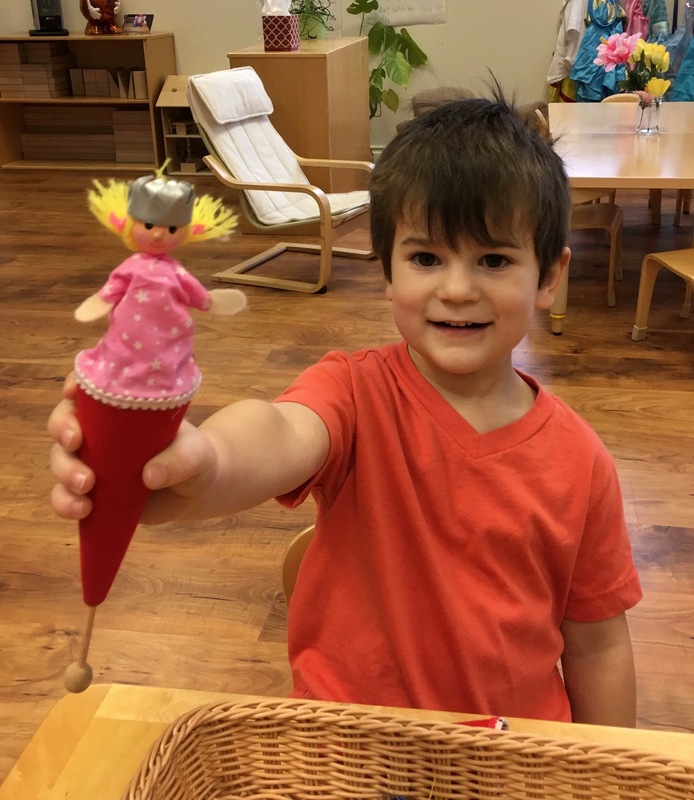 Morah Katie: Friends, for a moment I thought I heard a voice that Haman may have used, when I heard a friend say, "NO you can't play with me." I thought "Oh no, is that something Haman would have done? ", when I saw someone grab a toy from someone else. Sometimes we may feel like we want to yell or grab. I don't like feeling angry and sour all the time. Morah Katie: When we do feel that way we can stop and say, "Wait! I don't want to be like Haman, I want to be like Mordechai and Esther who were kind and helpful." And guess what? I see "Mordechai and Esther" in the classroom all the time! I see them when friends choose to share, and help others. I hear them when my friends use their honey sweet words. Mason: When we make those choices we can all be leaders. Morah Katie: You're right Mordechai! I mean Mason. Mason: Morah Katie, I'm Mason. Morah Katie: It was such a wise thing to say, I was confused. Miles: Lochlan can I play with you? Lochlan: NO you can't play. Morah Katie: I wonder how Mordechai would have said that? Lochlan: (in a calmer and softer tone) No Miles you can't play right now, also because we are putting it away. Morah Katie: Miles you can ask Lochlan when you can play with him? Miles: When can I play with you? Lochlan: As soon as I put this away we can play the game together. Morah Katie: Mordechai that was kind of you to invite include Miles. Lochlan just smiled at me. Sadie: I really want a bear. Maya: You can have one of my bears Sadie. Morah Katie: Esther, that was very generous of you. Maya also just smiled at me. Morah Katie: Why are we putting a heart on Queen Esther's dress? Olivia: She was kind. AND she did help save the Jewish people from Haman's mean plan. Maya: Thinking about her makes me feel good. We are preparing for next week with a song and some crafts.